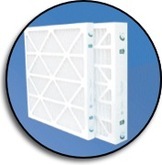 All Ohio Air Filter has been in the commercial air filter sales and service since 1980. We have teamed with Columbus Air Filters to help bring residential customers the same great savings that our commercial clients receive. Columbus Air Filters was created to help fill a need for the home owner. This website is for the residential customer who would like to get the air filters in thier house replaced with out paying retail prices.